The canal breached on the outside of a bend. Much of the 5½ mile summit pound of the Trent & Mersey Canal from Etruria to Kidsgrove was drained into the valley beside the canal. 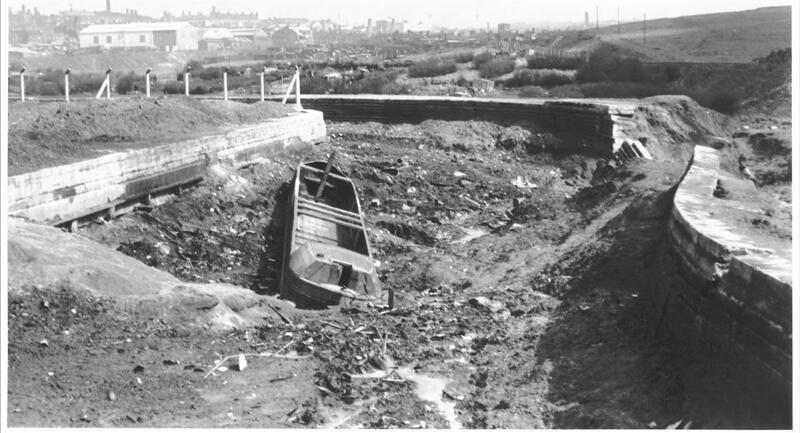 The side walls of all canals though Stoke-on-Trent had been repeatedly built up following years of mining-related subsidence. This was done by the addition of concrete box sections on top of the existing towpath edge. Some attempt had been made to strengthen the raised walls by the use of "contrefort" reinforcements at regular intervals, but maintenance standards were generally poor and recent excavations have establihed that the build quality was not always as good as it might have been. The breach occurred opposite a boat maintenance yard where craft were regularly "side-slipped" into the water. Boats would often be moored on the opposite bank to break the wave when other craft were being launched but this was not always done. The progressive effects of these launches in what was already a weak area due to it being the outside of a bend on an embankment are though to have all contributed to the collapse.